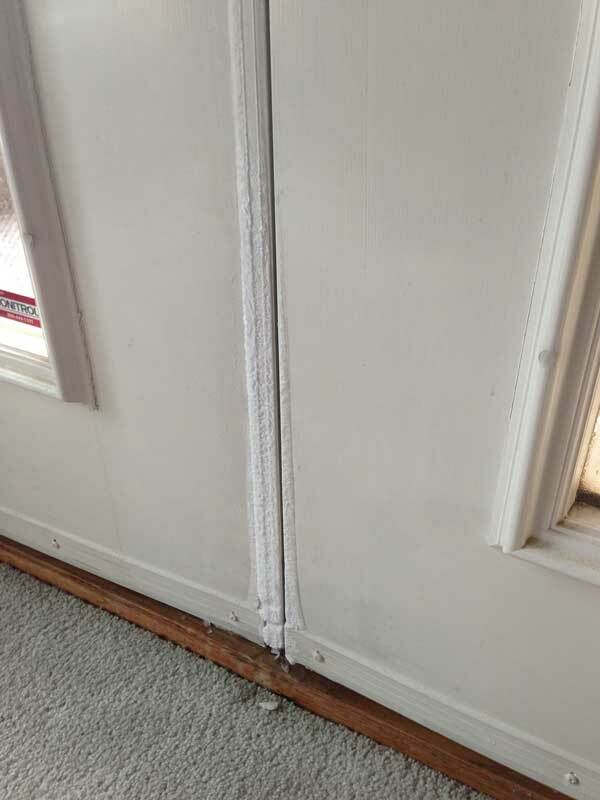 Cold weather can bring previously unknown door problems to your attention. These problems can come from older doors or even from doors installed in the past five years. Sometimes the problems – like the three problems below – are very simple to fix. Other times, there could be underlying structural issues that only an expert can identify. We’re always happy to stop in and take a look at your situation. And, if you buy your doors from The Door Store and Windows, they are backed by a lifetime installation warranty that covers adjustments and other issues. 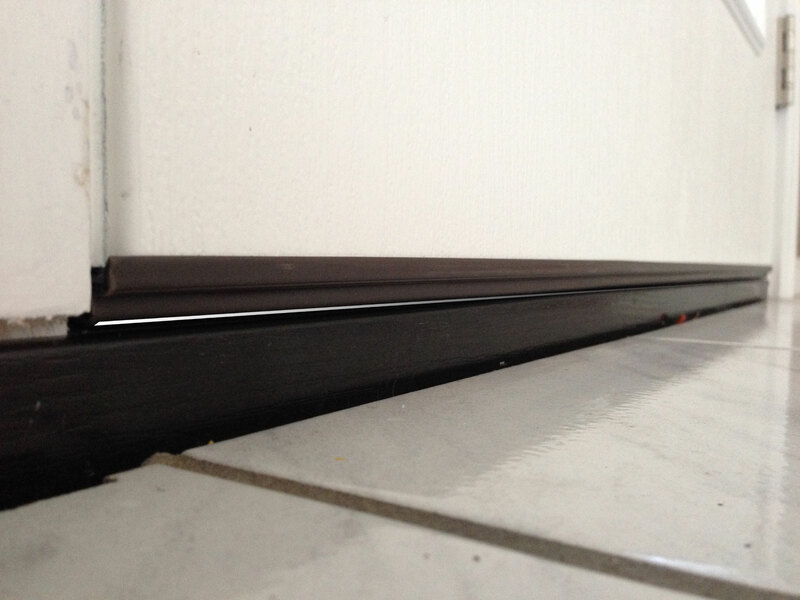 Solution: If the weatherstripping (or sweep) at the bottom of the door is not damaged, this problem can usually be fixed by a simple adjustment of the threshold – if your door has this feature. If you see four screwheads or caps (screws are under the caps) on your threshold, it’s probably adjustable. 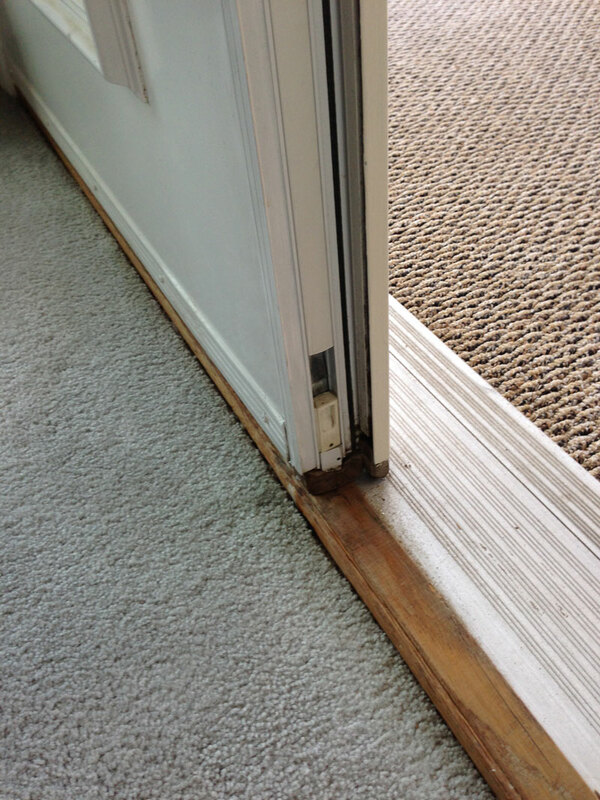 Simply turn the screws to raise the threshold so it forms a good seal against the door bottom sweep. Tighten it just enough so that when closed, you can’t easily pull a dollar bill from between the door bottom sweep and threshold. This problem can also be indicative of other, more significant problems like rot or structural failure; so if you have concerns, please call in a door expert. 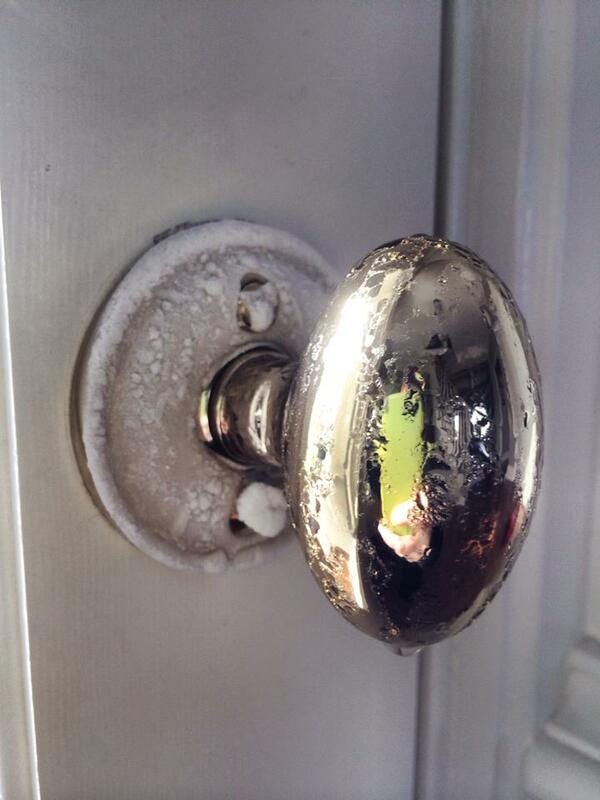 Solution: If your interior doorknob or handle set is frosty, wet or unusually cold, one cause could be loose hardware. Exuberant kids, heavy usage and improper installation can all result in loose hardware that does not seal the door knob hole. Small air leaks can allow cold air to meet warm, moist air and form frost or ice. 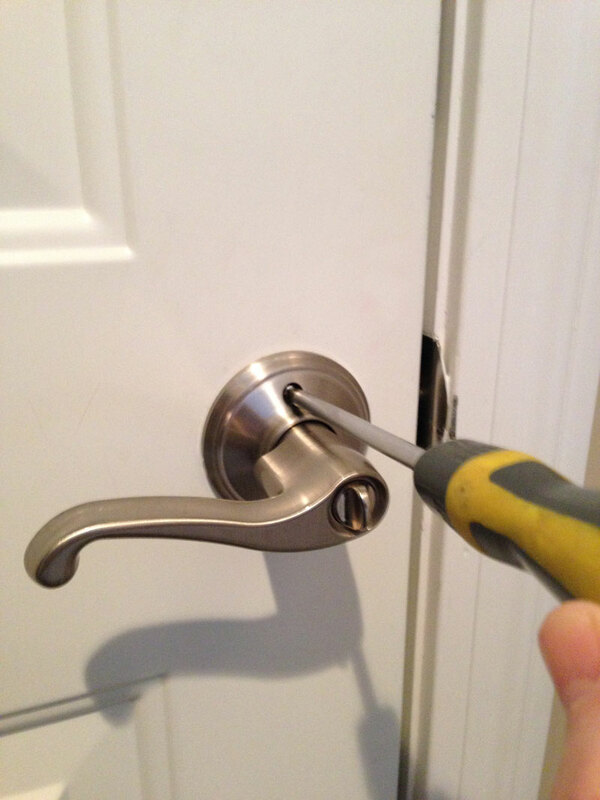 Make sure your door hardware is centered in the door knob hole completely covering the hole and then tighten all screws on your door hardware. Solution: French double doors typically have an active door (with lock hardware) and a passive door (locks in place using top and bottom slide bolts). 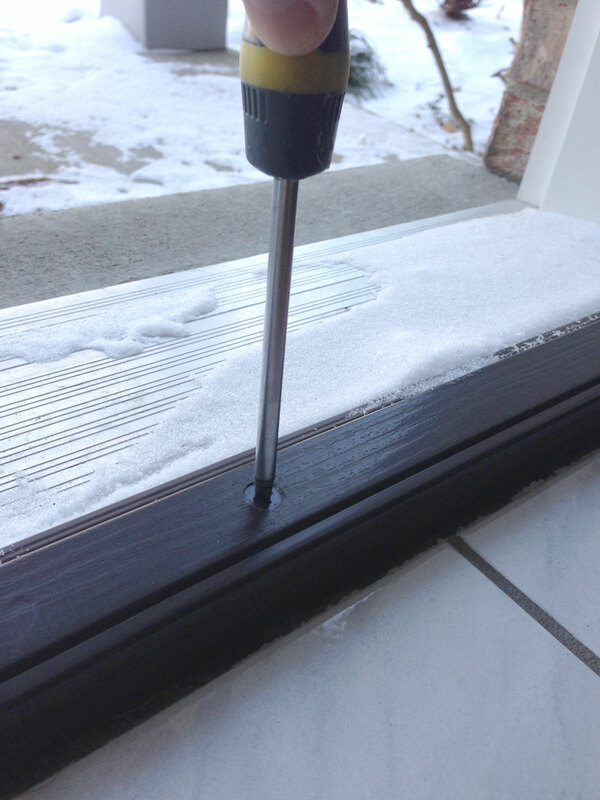 If the passive door is not properly locked in place with both top and bottom slide bolts, an air gap can develop that allows cold air into the home. This photo shows a French double door in which the bottom bolt was not properly locked into place. The top bolt can also slide out of position easily when the bolt mechanism becomes too loose from heavy use. When these slide bolts are not locked into place top AND bottom, a security risk is also created. A hard kick to the door will usually allow an intruder easy access into the home.